HomenewsAddosserAddosser Microfinance Bank’s Charity Walk to Orphanage Home. As an institution that is based on improving the living conditions of everyday people, we believe in tackling societal issues in a bid to alleviate the poverty in the nation. 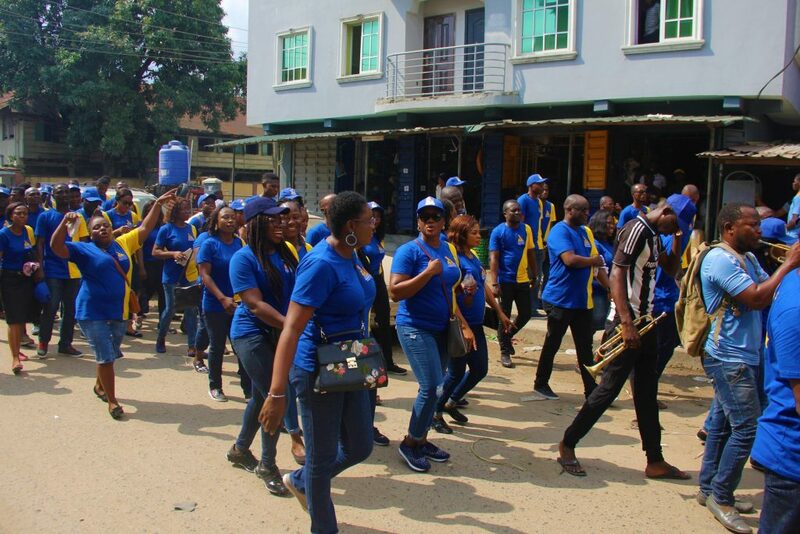 It was this belief system that the management and staff of Addosser Microfinance Bank joined hands to organize the charity walk to Nigerian Red Cross Motherless and Abandoned Babies Home, Makoko, Yaba. 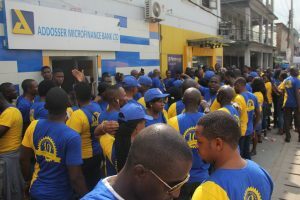 The walk was an integral part of the activities lined up to mark the bank’s 10 years anniversary celebration. 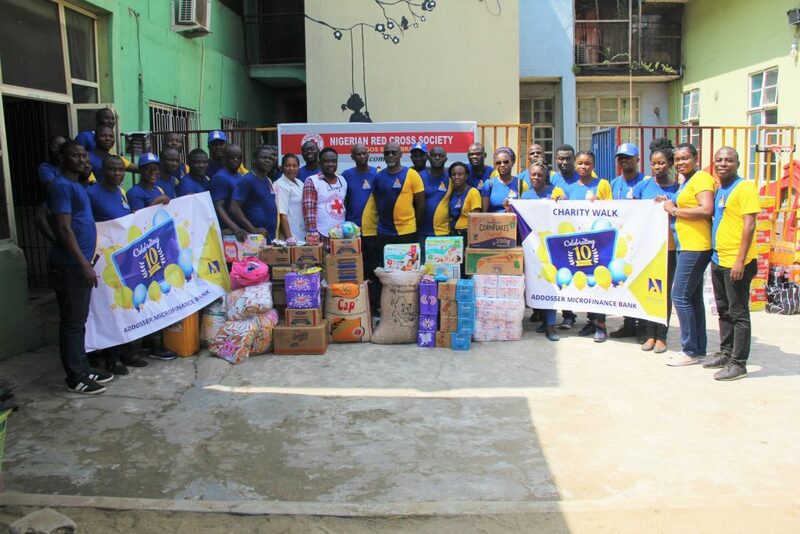 The charity walk kicked off from our Oyingbo branch located at 80 Muritala Muhammed way, Ebute Metta, Yaba with the Managing Director leading the group. 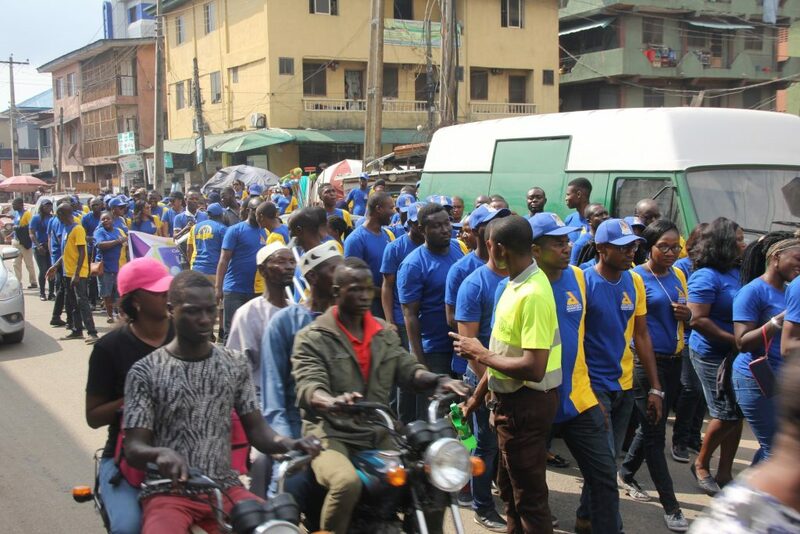 The entourage which consisted of staff and members of the bank’s board danced their way through the Yaba community, assisted by drummers and trumpeters, attracting locals who at certain points joined in on the celebration. Because we are committed to generating value and building relationships, we stay closely connected to the communities in which we operate to impact positively on their lives. These communities are plagued with children who sometimes go to bed without food, never see the four walls of a school and never really know what it’s like to grow up in a family. Part of these reasons is why we have taken on the responsibility to impact the lives of these children in hoping for a better future. 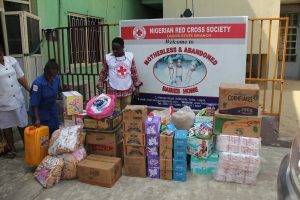 Speaking after our reception at the Orphanage home, the Managing Director Mr. Ayodeji Sobulo applauded the Red Cross for their dexterity in the catering for the poor and abandoned children of the society. According to him, the initiative was birthed by the bank’s culture of restitution and giving back to the same society that makes it float. He assured that the Charity Walk was one of many more activities that would see collaboration between the bank and the Red Cross. To conclude events of the day, the bank donated a host of food stuff, toiletries and other clothing for the children. The bank commits to its mantra of serving to empower. “We make a living by what we get. We make a life by what we give.” — Winston S. Churchill.